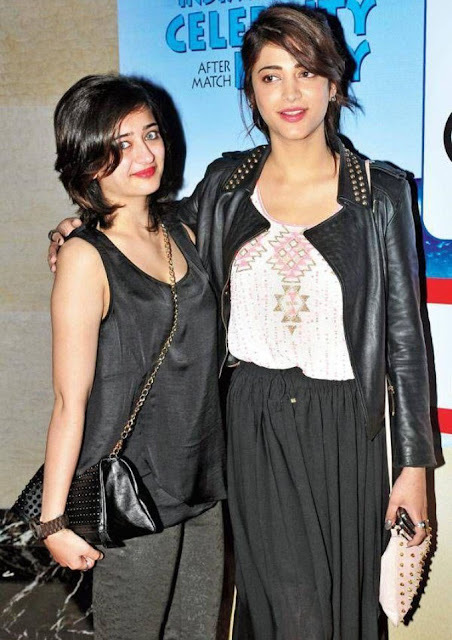 Daughters of Veteran actors Kamal Haasan and Sarika, both Shruti & Akshara are multi talented while. Shruti is also singer-composer, Akshara has also worked as assistant director for R. Balakrishnan directorial. Akshara made her Bollywood debut this year with Shamitabh alongside Dhanush & Big B. Shruti, while launching a Gap store earlier this week, told IANS "I'm very protective about Akshara and also very proud of her achievements. I can't wait to see her do more and make us all proud". Shruti also said that acting was never on her mind, she always wanted to get into music and was passionate about composing. Currently she is working on five projects these a include projects like "Puli" and "Rocky Handsome". See Also : Shruti Haasan launches her own Production House. "With five films in the pipeline, I have been really busy with work and have not had the time to compose. I look forward to composing music next year. I Don't feel any different while acting in the southern world after Bollywood," She added.